Hewett's mainstream career began as lead singer of Shalamar. In 1986 Hewett launched his solo career, scoring an immediate R&B hit with "I'm For Real" followed by "Stay", "I Commit to Love" and the contemporary gospel classic, "Say Amen." Other solo hits include "Show Me", "Once, Twice, Three Times", and "I Can't Tell You Why" a remarkable cover of the legendary group The Eagles. Hewett recorded on the first "Beverly Hills Cop" soundtrack, which landed him a Grammy for his composition, "Don't Get Stopped in Beverly Hills". With 16 albums recorded and over 15 million records sold throughout the world, Hewett remains a viable and legendary force in the music business. He continues to perform and entertain domestically and worldwide and is scheduled to join Shalamar's "Greatest Hits" 2019 tour. 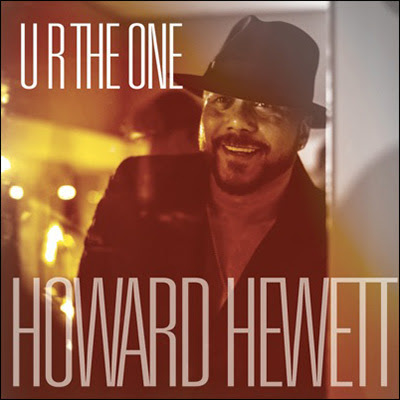 Howard Hewett's new single "U R The One" releasing April 19th, 2019 will be followed by the early summer debut of his new hat line "The Howard Hewett Collection." The Howard Hewett brand has teamed up with long-time Cleveland hatter "Mike the Hatter" from his home state of Ohio. "Mike the Hatter" has been family owned and operated since 1937. The "Howard Hewett Collection" hat line features high quality, year around hats with a distinctive Howard Hewett logo on the ribbon and Hewett's signature on the inner lining. The Hat Collection is scheduled to be released in early Summer 2019, debuting two styles - in smoky gray and black. The order links will be available on the Howard Hewett Facebook Page and Instagram.